When it comes to more bang for the buck, an unlimited NBN plan is the best option. When it comes to more bang for the buck, an unlimited NBN plan is the best option. But before locking in a plan, what providers give you the fastest broadband on the market? If speed is your goal, consider an NBN 50 or NBN 100 plan. Looking at the list of plans below, the first seven offer promotional pricing for the first six months and all but one don’t require a contract. However, prices do rise at the end of the first six months, with the majority going up to $90-$100/month. Click Broadband remains the best value for money – after the six-month promotional period its plan is only $88.88/month. Each plan offers premium evening speed – you get the fastest connection – even during periods of high network traffic (usually between 7pm and 11pm). While the top five won’t charge set-up fees they also won’t provide a modem, so you need to factor that into your costs when looking for a new plan. Network capacity should also be considered. While all of the plans might be on NBN 100 that does not necessarily mean they all have the same speed. Each company buys network capacity from NBN Co, so each of them has different evening speeds. For example: Telstra has an evening speed of 90.41Mbps while Amaysim’s is 78.1Mbps. The ACCC now requires NBN providers to disclose the NBN speeds a customer can expect during peak hours. Check this out before signing with a provider. 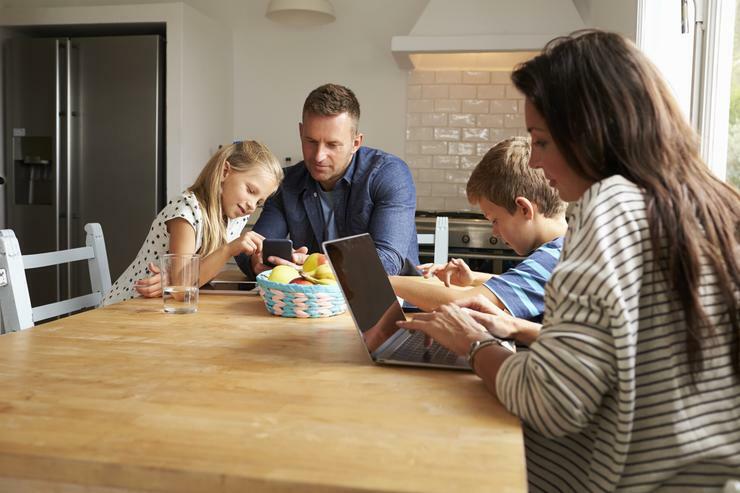 While there are many factors that affect connection speed, the above list should help you find the fastest connection on the market.